The price of Regular and Premium are mostly unchanged from last week. According to GasBuddy.com, California has the highest average price for Regular at $3.25 and Oklahoma has the cheapest at $1.89. The WTIC end of day spot price closed at 53.01, a 4.9% increase from this time last week. 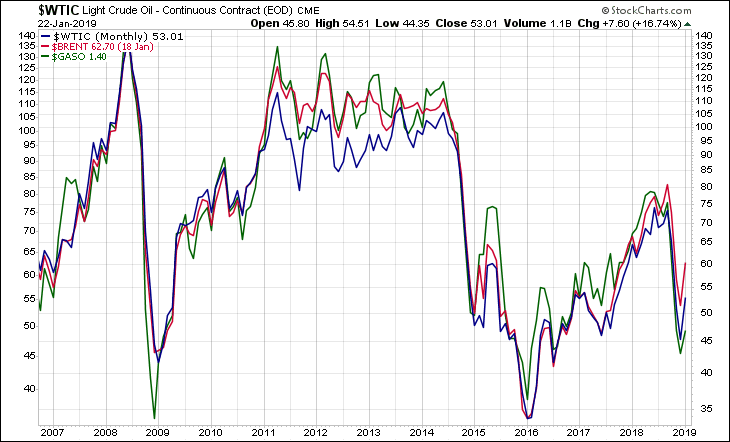 How far are we from the interim high prices of 2011 and the all-time highs of 2008? Here's a visual answer. The next chart is a monthly chart overlay of West Texas Light Crude, Brent Crude, and unleaded gasoline end-of-day spot prices (GASO). 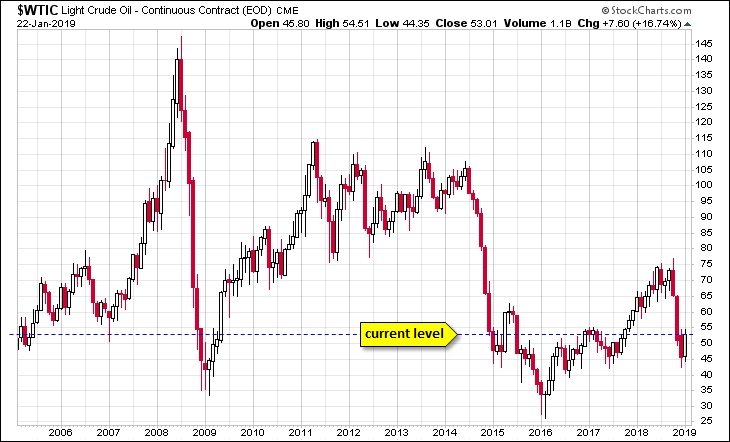 In this monthly chart, WTIC end of day spot price closed at 53.01, a 4.9% increase from this time last week. 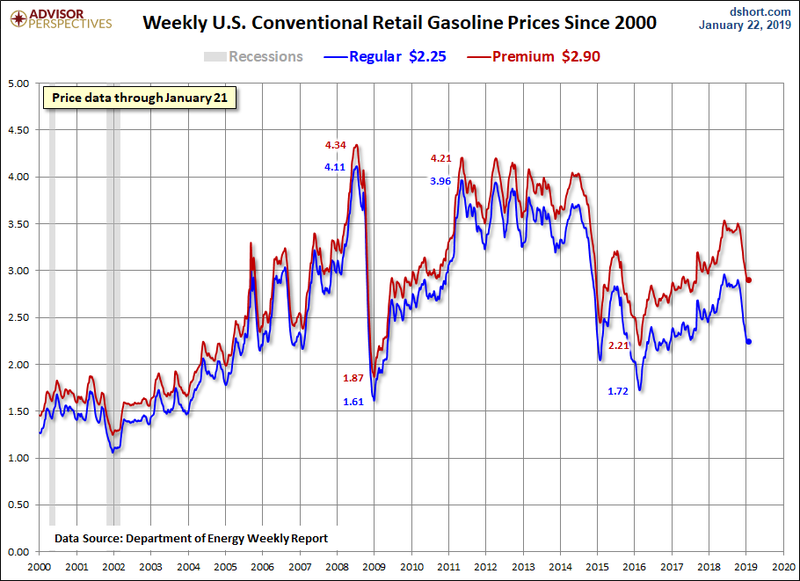 The volatility in crude oil and gasoline prices has been clearly reflected in recent years in both the Consumer Price Index (CPI) and Personal Consumption Expenditures (PCE). 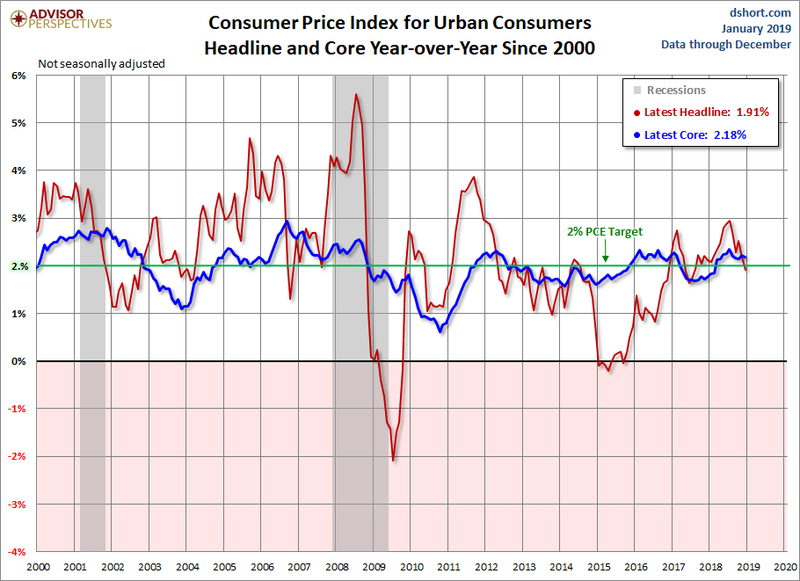 For additional perspective on how energy prices are factored into the CPI, see What Inflation Means to You: Inside the Consumer Price Index. 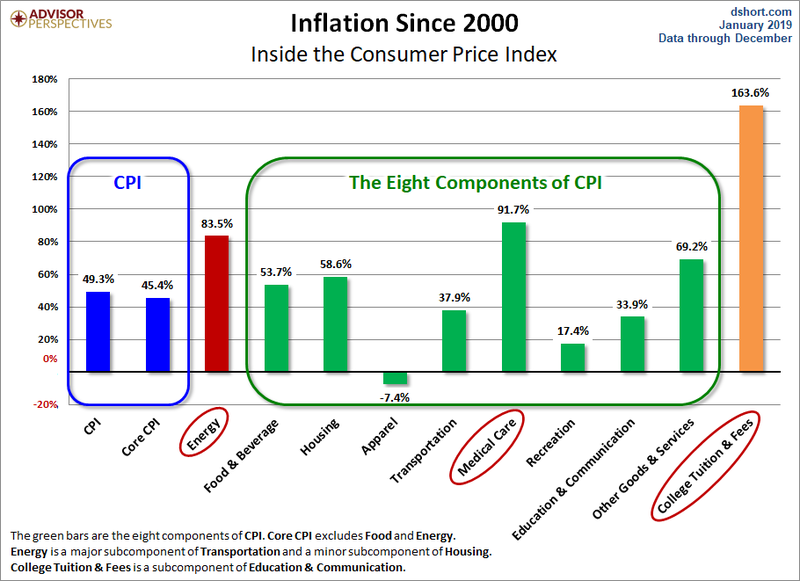 The chart below offers a comparison of the broader aggregate category of energy inflation since 2000, based on categories within the Consumer Price Index (commentary here). Jill has been working with Advisor Perspectives since 2012 and in 2015 joined the dshort team as Research Director. She considers herself a Gen X’er and has a background in mathematics and science. She holds a Master of Science in Physical Science with a concentration in physics and astronomy from the University of Chicago. Jill spent a number of years working in both academia and nonprofits, from research in space science to playing a major role in a start-up science outreach organization. After years in science, Jill shifted her focus to finance and economics. She is interested in economic trends and market reactions, and how domestic and international economies integrate, interact, and influence the world’s markets. When not analyzing financial and economic data, Jill enjoys running, traveling, and cooking for family and friends.